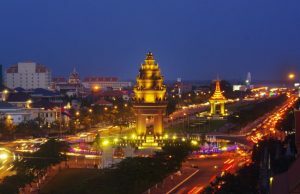 Cambodia is a country with a rich history and a difficult fate, located in Southeast Asia. After the era of the Khmer Rouge rule, this country began to recover relatively recently, reasonably betting on attracting tourists. Admittedly, this calculation turned out to be correct – at present Cambodia can already compete with neighboring Thailand in this regard.